To prepare a resume for a senior management position is not an easy task since you will likely have to distinguish yourself and lead in a fiercely competitive field of tremendously qualified and highly experienced candidates. Your resume needs not only to be well prepared, but it will also have to stand out from the competition. How do you give your application the assuredness and professionalism required at the highest levels? What rules of art should you apply? Here are some useful tips that will guide you to prepare a high quality resume. 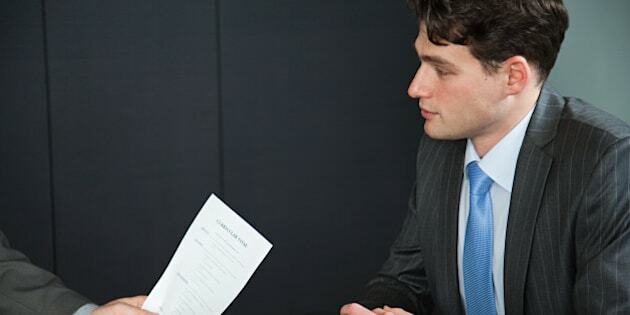 Before you begin, think about the first impression that you want to give with your resume. If your intention is to provide an image of impeccable professionalism (and the opposite would be surprising), then do the same with your resume. Avoid templates which are widespread and are routinely received by recruiters. Customize your layout and if you do not have the skills to do so, ask someone to help you produce a document that is as succinct, convincing and professional as possible. Nevertheless, make sure your document remains simple and uncluttered so that your expertise is not overshadowed by an obtrusive design. It is possible that the people who hire you may already know you and may have deliberately chosen to invite you as a likely candidate to fill the position. In such cases, it will be important to correlate all the information online describing you (or used to validate your application) with the content of your resume. Here's a good piece of advice if you never want to make any mistakes: always be transparent, consistent and honest. This way you will never have to explain any discrepancies between the results indexed by the search engines that recruiters use to find out about you and to correlate the information in your resume. If you remain faithful to these strict principles, your information from different sources will always be consistent. If you want your application to stand out from many others, it is even more important to clearly demonstrate the relevance of your accomplishments. Make sure people do not have to carefully search your resume in order to detect important things that should be visible at first glance. Be aware that the person who will assess your resume may possibly scan your document for only a few seconds before deciding to reject it or not. Also do not rely solely on the content of your cover letter to provide explanations on the relevance of your application. If your resume does not pass the first test, your cover letter will never be read. It is therefore essential to ensure that your resume alone is tailored sufficiently to get through the first stages of selection. With a considerable depth of experience and qualifications it is not necessary to exhaustively cover each of your past positions. You are not writing the chapters of a novel -- but need to be engaging. Concentrate on the information that clearly demonstrate your ability to fill a senior position, and particularly the position you are applying for. In succinctly highlighting relevant experience and past successes you will help to give confidence to people who assess your ability to meet the challenges of the role. Avoid generic resume contents -- go for personalized content according to the position sought. Do not forget to mention the boards, associations, committees, and other activities in which you are involved or have provided a significant contribution. List your major publications -- if your list is long, it is better to include only the publications that have a direct link with the position applied for (add a hyperlink for the full list). Do not neglect to mention all the languages you know and your real level of expertise for each of them. Ask people you trust to review your resume -- the advice of several editors will help identify and remove a greater amount of errors or imperfections. Print your document to verify its print format. Correct any faulty page breaks, and avoid colours and gray fonts that are can be difficult to read if photocopied, (this includes potentially unrecognized fonts without widespread print support, to many levels of alignments and tabs, etc). Do not be afraid to test your resume with professional consultants. Like taxi drivers to whom you give the right address to reach the right destination, it is essential to provide the best possible information to the experts who will prepare your resume -- and they will also be able to form a view about how compelling your document is. A very important point, if your application is assessed outside the country, try as best as you can to comply with the standards of the Evaluating Committee or the country where it will be assessed, as this will demonstrate your willingness to adapt and apply your skills to addressing their needs. There is no substitute for the task of preparing an exemplary resume -- it is a compulsory step to success. To get the desired position, the investment in time and money will have been worthwhile. If initially unsuccessful, seek feedback, and, you will still have on hand much of the preparation that will be required for the next application.